Absolutely anyone can learn Spanish. It doesn’t matter what your excuse is. Maybe you think you stink at languages. Maybe you think you’re too lazy. Maybe you flunked out of high school Spanish or maybe you can’t finagle your mouth around the word gracias (thank you). 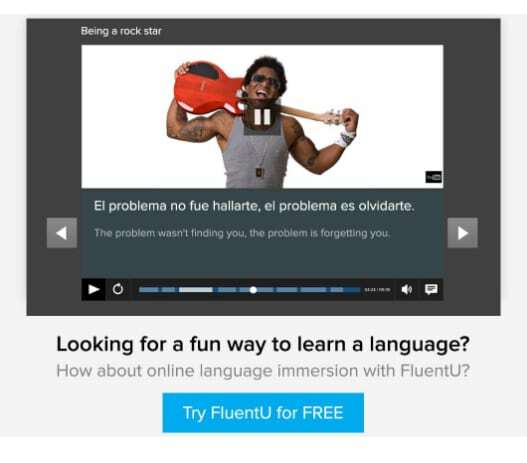 If you really want to learn Spanish, you can do it. All you need to do is make a concrete plan to study, keep it fun and stay motivated over the long haul. It’s that easy. No more excuses! The chances are quite high that you can achieve any realistic goal you set for yourself with the language. I say this as a former language teacher and a language learning addict who has had my own share of successes—and spectacular failures—with learning languages. 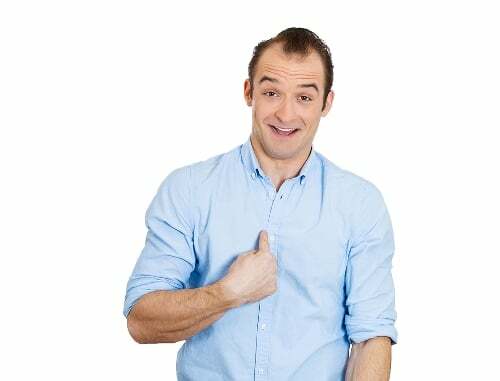 This guide will hand over the keys to learning Spanish for any and all potential learners, but in particular it’s for those who think they might face more trouble than most. It’ll be more than enough to get you up and running. Now let’s learn how to properly learn! These are all great reasons for learning Spanish because they include personal, compelling motivations that’ll keep you coming back to it when the going gets rough. They also guide you to specific, achievable goals for study (more on this in the next section), like focusing on reading or focusing on vocabulary used in conversations on the dance floor. These are very likely not going to be truly motivating reasons when you can’t seem to find time to crack open that workbook. They also don’t give you any concrete desire to pay careful attention to, for example, a new tense that you’ve come across and how it might allow you to express yourself better. If looking smart is your honest reason for wanting to learn a language, perhaps you could just lie and say you speak something like Quechua, which few people are going to be able to call you on. Learning a language is a serious commitment, and rarely is it possible without a genuine motivation towards some sort of authentic communication. Once you’ve nailed down your overall motivation(s), these should then be translated into achievable short-term goals. Once you achieve those goals, you’ll make new ones and continue in the same way throughout the Spanish learning process. Notice how difficult it’d be to create such interesting short-term goals without a concrete, personal and compelling long-term goal for the language? Your long-term and short-term goals will determine the learning tools that you’ll use. Here’s an overview of which tools you might choose. Your range of tools might, however, be different depending on your goals. Use this as a sampler to get you on the right track with your beginner studies. If your goals involve any kind of real-world communication with humans (as opposed to the also-valid goals of simply consuming books, music or film), you’re going to want to include a learning method in the mix that involves give and take with other humans. No, talking to flashcards or a smartphone app isn’t enough. I have a strong preference for online language learning, because it’s cheap and usually one-on-one, so you can really stay focused on your individual goals. I’ve argued that you should design the lessons yourself for maximum efficiency, but you can choose whichever option gets you interacting with real people. If you’re doing one of the above options, your teacher may provide you with a written grammar guide, exercises or textbook, but even then you may want to investigate getting your own that’s best for you. These guides can save you a lot of time. 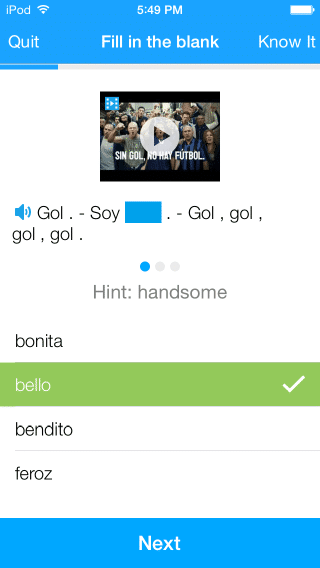 Spanish conditional tenses, for example, can be pretty simple to master once the rules are explained—and take forever to figure out if they’re not. If possible, make sure that your textbook teaches the register and regional variety of Spanish that’s most relevant to your goal; you don’t want to bother learning European Spanish’s vosotros (informal plural “you”), for example, if your goal is to hang out with Cubans. To answer specific grammar or vocabulary questions the internet has a trove of answers too, of course. 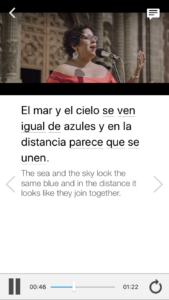 You can find the best answers to innumerable Spanish conundrums—written by the most handsome Spanish experts on the internet—by typing into the search box to the right of this post. Unless your goals involve strictly the written word, videos are an invaluable learning tool. They give you visual feedback while simultaneously showing you the correct pronunciation and context. They’re also a lot of fun, and that’s so important for staying motivated as you continue in your Spanish-learning adventure (see the next section). 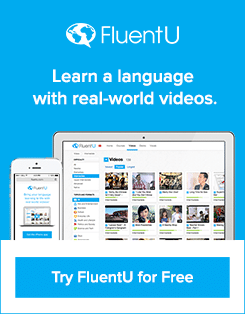 FluentU offers a system in which you can watch native-language videos on all sorts of topics and targeted to all difficulty levels. 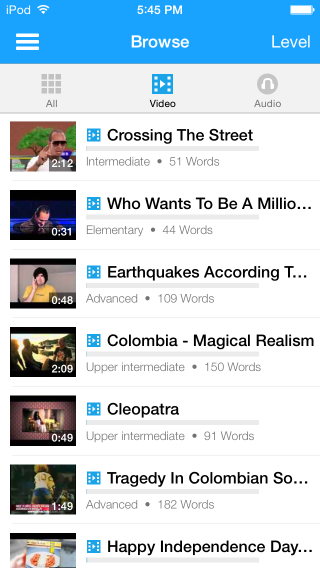 Each video is integrated into a learning system that allows you to practice your new vocabulary and track your progress. Kind of beats trying to wade through YouTube to find something interesting and also at your Spanish level, huh? Spanish textbooks usually include written materials for the beginning learner, but once you’re at an intermediate to advanced level you can start looking for native materials in the form of Spanish-language magazines, blogs, news sites and short stories that are of interest to you. You can thus target your reading to your personal goals and interests, and have the learning experience be that much more rewarding. For some things, unfortunately, rote memorization is still the best option. 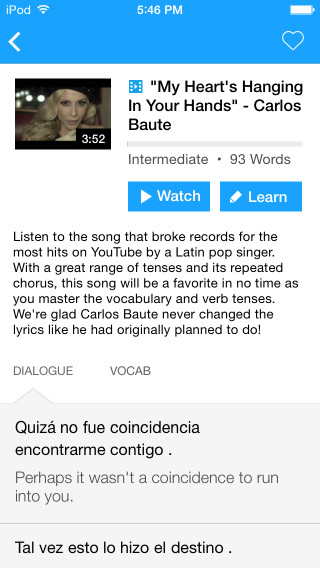 You still want to use the other, more fun, more communicative options more heavily, but I’d still recommend flashcards (or a flashcard app like Anki) for problems like nailing down irregular conjugations and for burning troublesome new vocabulary into the back of your brain. New to electronic flashcards? Don’t be intimidated—they’re definitely worth trying! Check out a guide on the subject, like Olly Richards’ “Make Words Stick,” which tells you exactly how to get set up with an electronic flashcard program and how to use it most effectively. If you’ve taken the advice above, you might now have a very personal overarching goal, small achievable steps to take on the way and fun tools that are directly related to those steps. But let’s not lie to ourselves—learning Spanish takes a very long time and a lot of commitment. Even the best-laid plans are going to run into roadblocks. Aside from personalizing your goals and tools, as mentioned above, it can be extremely useful to create a personalized routine that you can stick to. When you create your routine, think also about what’s previously tripped you up with language goals, as well as other goals like exercise. What kept you from achieving them and what’s been proven to work for you? How does family or professional life get in the way, and how can you adjust in advance for that so that you’ll still have time for Spanish? In my personal experience, even a short amount of time every day (I devote a half-hour per language) is far superior to a large chunk of time once a week, as short lessons are more fun and easier to squeeze in—and most importantly I forget nearly everything new if a week has passed. I hope you’re ready to jump headlong into an achievable and fun goal with the Spanish language. Your fling with an Ecuadorian lover, your first Borges novel or some adventures at the taquería are guaranteed to be well worth the effort. Mose Hayward blogs about 20-minute “fluency” as well as other Tipsy Pilgrim adventures in Spanish-speaking lands and around the world.